The Ford Foundation is committed to achieving lasting change that transforms people's lives. Through their grant making, they support innovative thinkers, leaders and organizations that are working to reduce poverty and injustice and to promote democratic values, free expression and human achievement. When making grants, they think about long-term strategies, knowing that lasting social change requires decades of effort. And because their mission is broad and resources are limited, they carefully target support so it can be used most effectively and leverage the greatest amount of impact. To that end, program teams working on each of their initiatives consult with practitioners, researchers, policy makers, current and potential grantees, and others to identify areas where the foundation's resources are needed most. The teams then pinpoint specific approaches grantees might undertake program exploration, advocacy, litigation or capacity building, to name just a few—to help achieve the social change they have identified. The teams also determine key benchmarks for progress and the amount of funding to be dedicated to each approach. 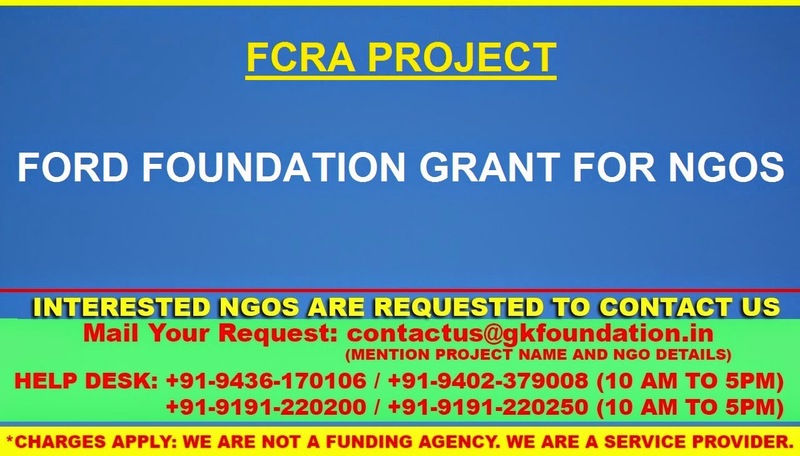 The broad headings under which they make grants are: Democratic and Accountable Government; Economic Fairness; Educational Opportunity and Scholarship; Freedom of Expression; Gender, Sexuality and Reproductive Justice; Metropolitan Opportunity; and Sustainable Development. The have offices throughout the world specialising in some or all of these areas. Their offices are in: North America, Chile, Brazil, Mexico, Nairobi, Cairo, South Africa, Nigeria, China, India and Indonesia.